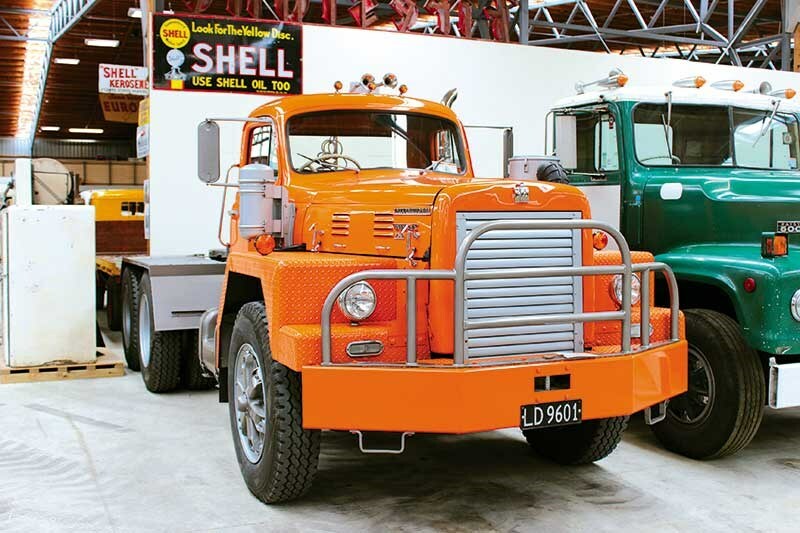 The rejuvenated Bill Richardson Transport World collection remains a bucket-list item for many. 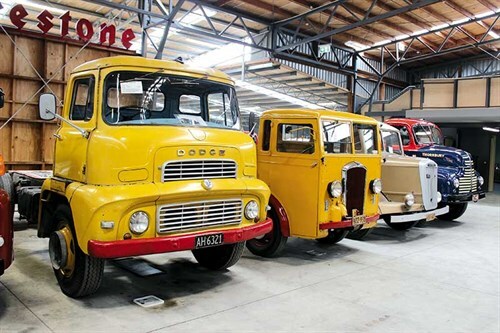 The largest private collection of its type in the world is definitely worth the trip to Southland. Nothing prepares you for the vastness of it. The immense collection at the Bill Richardson Truck Museum (recently rechristened Bill Richardson Transport World) is truly breathtaking. It starts innocuously enough as you go through the double doors into the first exhibition hall; an incredibly well-preserved 1940 Dodge Airflow RX70 Texaco petrol tanker here, a few Ford pick-up trucks and V8 models there. Then you notice the row of Ford ‘Letter’ cars; the most complete collection of Henry’s early output in the Southern Hemisphere, with a rare Model K counted among the ranks (one of only nine survivors), but sadly no Model B, of which only two exist. Then the light from a hallway over yonder catches your eye; detailed within its frame are the noses of several trucks; Commers, Scammels, Macks… you realise this initial hall is just the start. And as you thread your way through hall after hall it strikes you that this is a deeply impressive collection. The building housing Bill Richardson’s collection is impressive too; it’s actually a new building (made to look old in an art deco style) built around an old building that was for many years Bill’s shed behind his house on Inglewood Road. In all there are over 200 trucks here, as well extensive workshop space, large multi-room conference facilities upstairs and a café and gift shop. The place houses more than trucks, however. 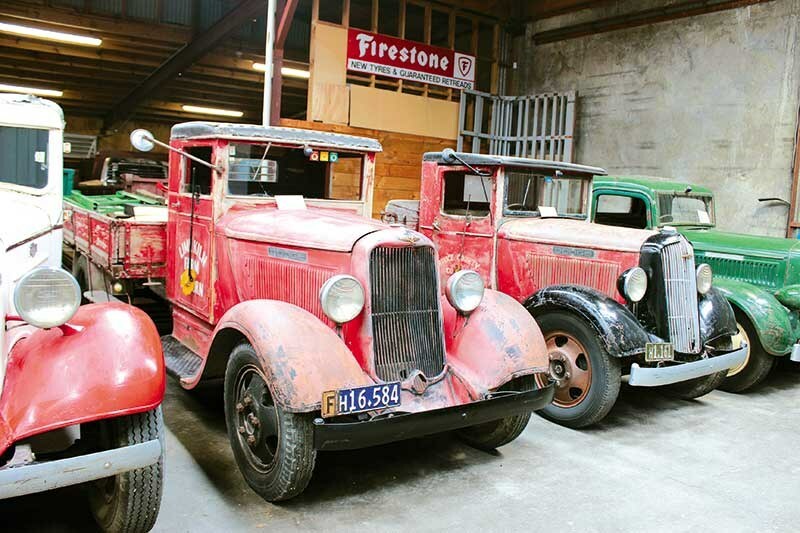 If you adore old petrol pumps, then Bill Richardson Transport World is a must-see destination, with one of the biggest collections around. 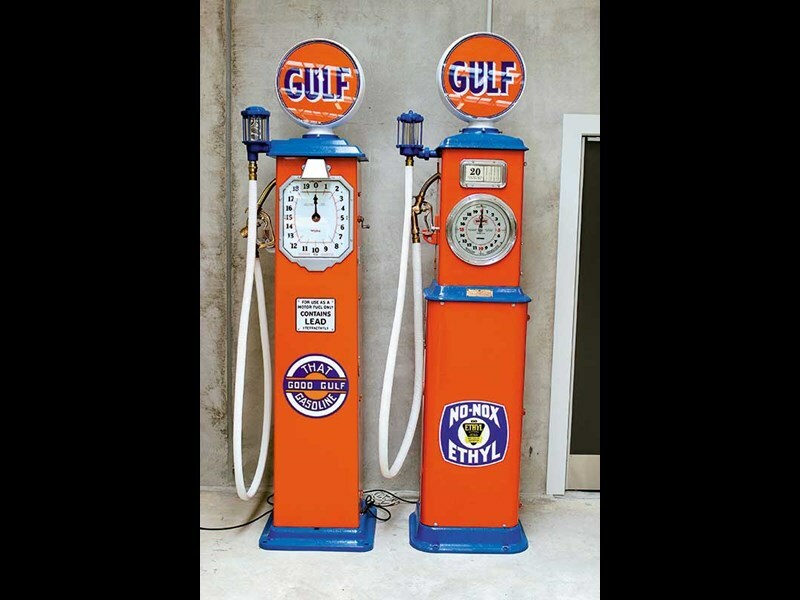 Pristine examples of pumps – more art than machine in some instances – from timeless suppliers such as Shell, Gulf, Big Tree and more are tucked into corners between rows and rows of trucks. There are displays dedicated to construction gear and tractor equipment too, as well as family collections of Citroen cars and Volkswagen Kombis. There is a space for kids as well, where little truck fans are encouraged to build the eighteen-wheeler (or six-wheeler) of their dreams out of Lego. 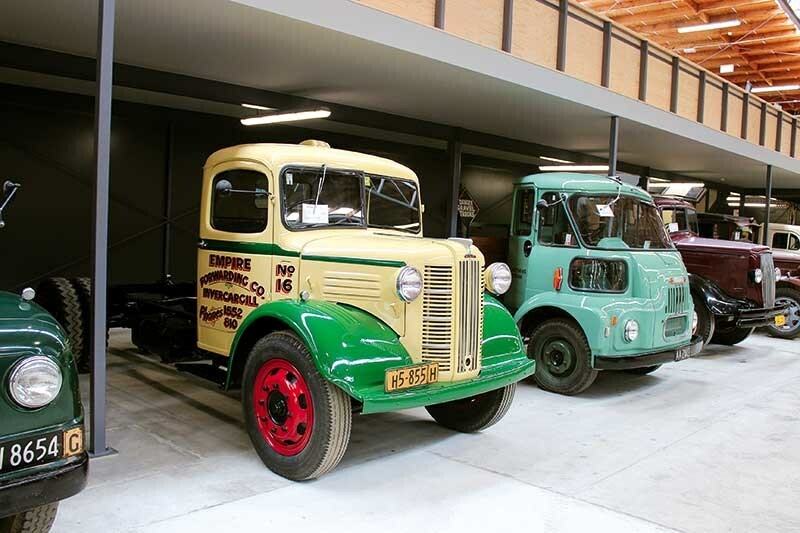 "This place is more than a truck museum; it’s a social history museum as well," says operations manager Sally McDonald. "The great thing about the collection is that it traces the development of commerce in the Southland region. 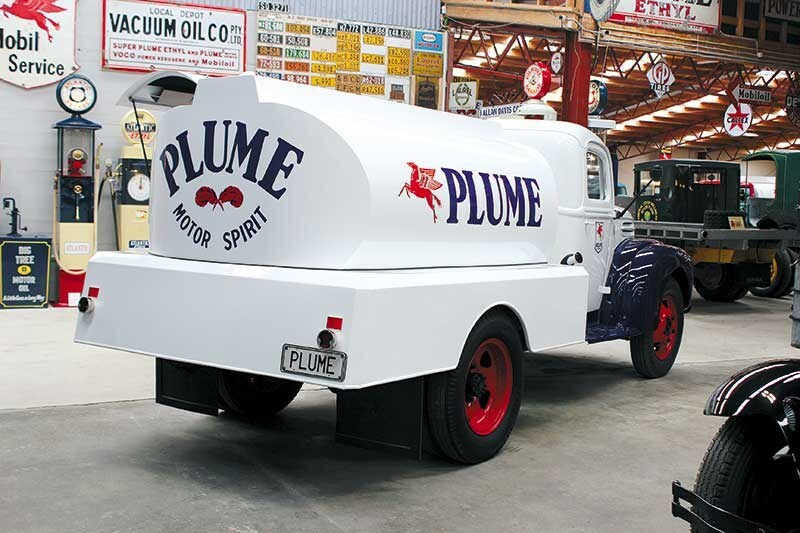 There’s no better sight than visitors coming in and smiling when they see an old long-gone Southland or Otago firm’s logo on a truck door that they remember from their younger days, or even worked for at one stage." It’s true. While I’m exploring the 15,000 square metre building, I note a couple of different visitors poring over certain trucks and having their picture snapped, like they’re reacquainting themselves with an old friend. They possibly are; what a joy it must be for an old trucker to know the faithful Mercedes-Benz, Ford or Seddon-Atkinson that traced a trail through sun and snow year after year with his hand on the wheel is now safe and sound here for all to admire. "We have three full-time mechanicals, as well as a panel and paint shop, and our chief curator Graeme Williams used to work at South Roads," continues Sally. "We like to say that if you hooked up a battery and added fuel to any of our trucks they would start. Most are in working order; you can see the ones that plainly aren’t, but then that ‘used’ condition they’re displayed in is important too. "It makes the static displays feel much more realistic to have some vehicles looking like they could have been out on the road only last week." Sally says visitor numbers averaged about 6000 per year before the premises were refurbished last year. Since the grand reopening in November, the museum has already received over 8000 visitors. The day I attend – a grey Wednesday in the middle of February – there are plenty of people around, young and old and all clearly delighting in what they discover simply by rounding a corner into yet another packed exhibition hall. 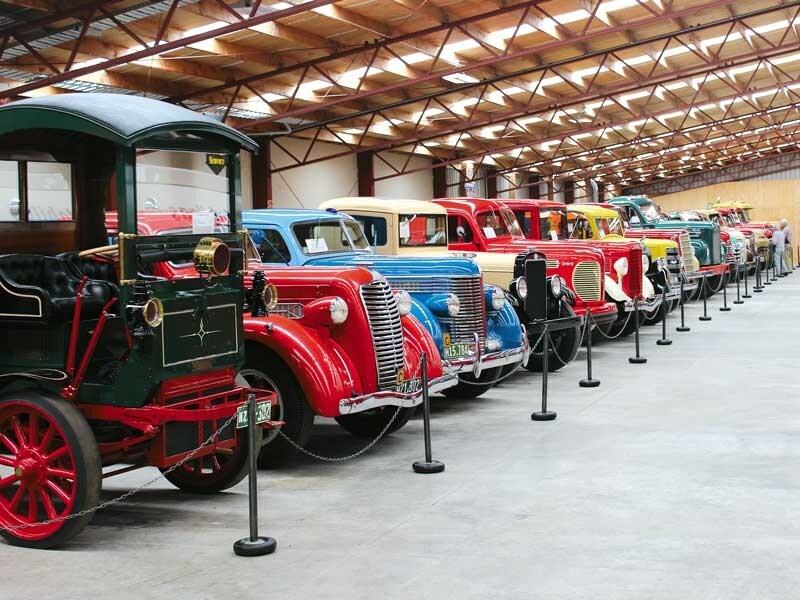 It would appear Bill Richardson Transport Museum has made Invercargill a destination city for many. Bill himself would no doubt be extremely proud. This article first appeared in Deals On Wheels magazine. You can subscribe to that magazine here.